Our fabulous annual exhibition takes place on Friday 16th, Saturday 17th and Sunday 18th November. Every day from 10.00am to 5.00pm. Superb Christmas gifts for sale, including, pottery, paintings, silk paintings, all beautifully unique and hand crafted. 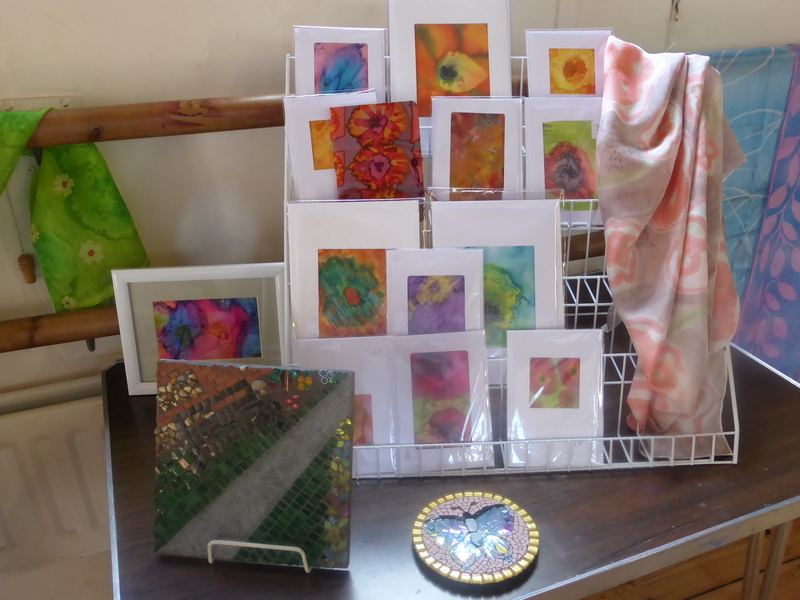 There will also be silk painting, pottery and embroidery demonstrations on the Saturday. Free parking opposite the centre. All welcome. Saturday 14th July, 12 noon to 4 p.m. We’ll have two tables and be publicising the Centre and what we do. 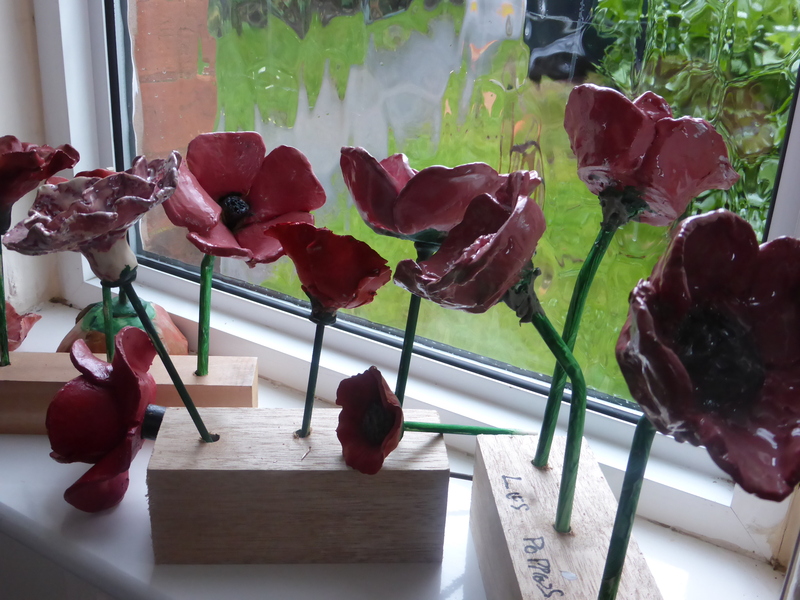 There will be paintings and ceramics made by members to view and for sale. Everyone is welcome, so come and have a chat and find out what we do. A date for your diary. Monday 23 July at 12 noon at the Centre. Open not just to all members, but also the general public. Find out what’s going on and future plans. We’d encourage as many as possible to attend. We’d love to see you there. Members recently took part in a six week course on Stained glass mosaics. Here are some of the wonderful results. Silk painters and artists from the C.C.A.C worked together to create hand painted animal silk banners for Chinese New Year. These can be seen fluttering around the clock for Chinese New Year at Chesham Market Square, starting on February 17, 10am- 2pm. The Art Centre has also been asked to help on Chorleywood Village Day by producing silk banners to go down the avenue in celebration of this event. The Art Centre is looking forward to encouraging people to help with this event with a view to joining our friendly groups. 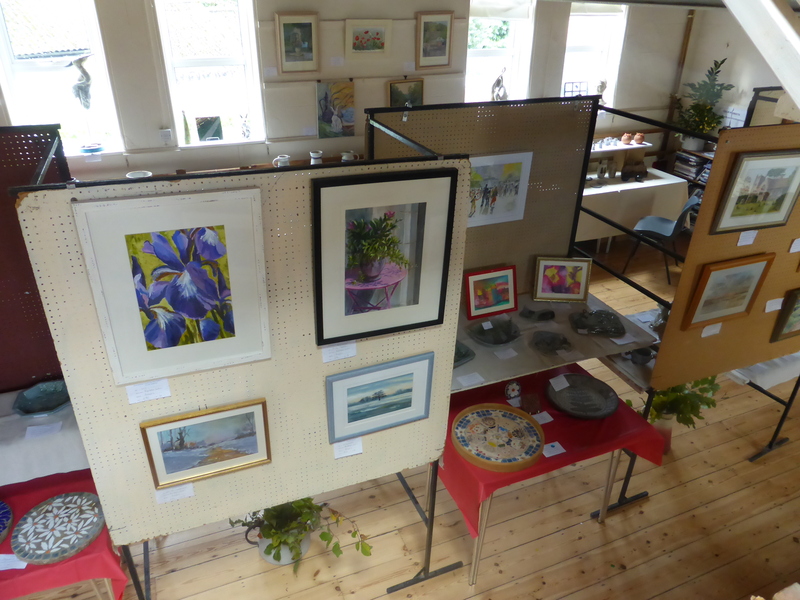 Our Annual Exhibition ran for three days – Friday 10th – Sunday 12th November. 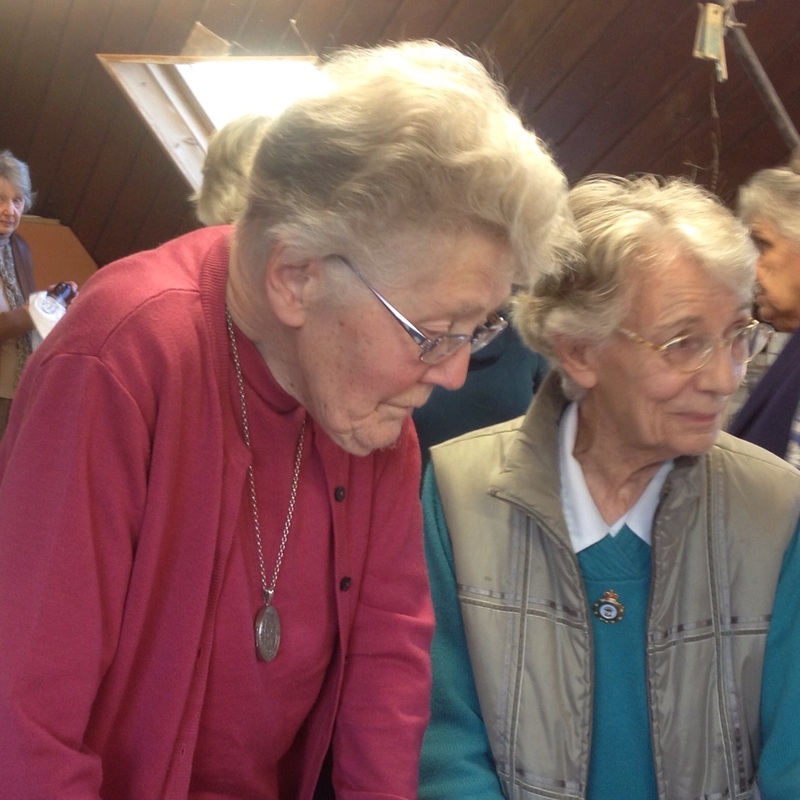 It was a great opportunity to view our range of work, and to purchase exquisite, hand-made items at knock-down prices! 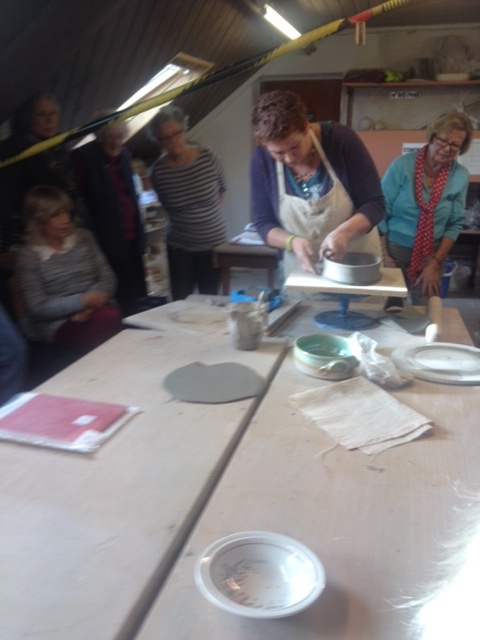 During the weekend we ran demonstrations of pottery and painting. There were great Christmas gifts, and hopefully we inspired others to join one of our regular groups! Here’s some examples of the lovely works which were on display. Congratulations to Mona seen here in glorious blue celebrating her 100th birthday with friends from the centre. Mona, (now 101!) has been a staunch supporter of Chorleywood Arts Centre since its inception and we thank her for her tremendous contribution. And thanks to Les (seen in the white shirt) for playing host and holding a marvellous meal. We will be soon be advertising events and happenings in the window of the stationer’s shop on the corner of New Parade in Chorleywood. We hope to spread the word a little further this way! The charity quiz evening in the Memorial Hall in Chorleywood was a great success – eight of our members joined in and took a table. The evening was deemed a huge success and thoroughly enjoyed by all. To celebrate they were taken to lunch at The Gate for a surprise party. It was then back to the centre for a slice of delicious cake. It was with great sadness we heard of the death of Anne Wright whose funeral was held at St. Michael’s church in Chenies village on Friday October 23, 2015. 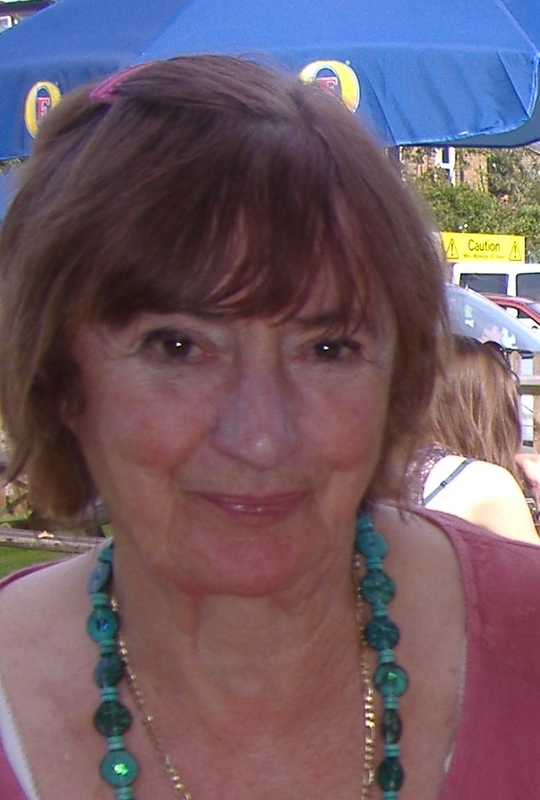 Anne was a prominent member of the centre and was chairman for many years. 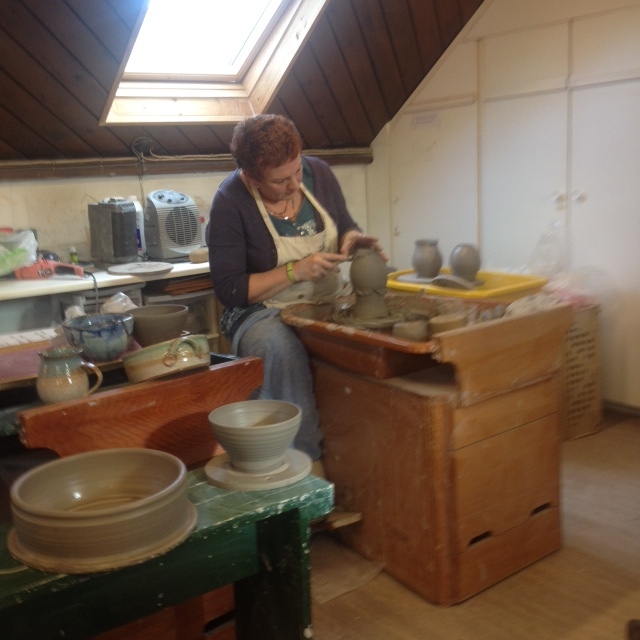 She had an unusual artistic imagination and was a very competent potter. Every thing she did she did well. She had a very strong robust positive personality and was great to have as a friend. So it is very hard- almost impossible- to think that she is no more. Some months ago she was interviewed for the web site (see below) and her usual robust positive personality shone through. After 15 years as lettings officer she has sadly decided to retire from the position. By way of thanks she was presented with a lovely fuschia plant by the committee. In August Pam is being replaced by David Hudson. Pure silk takes dye like nothing else; the colours, the luxury. It is a perfect gift for my overseas friends. They are delighted to receive a unique gift which looks so good, feels expensive, and furthermore is as light as a feather to pop into a Christmas card.